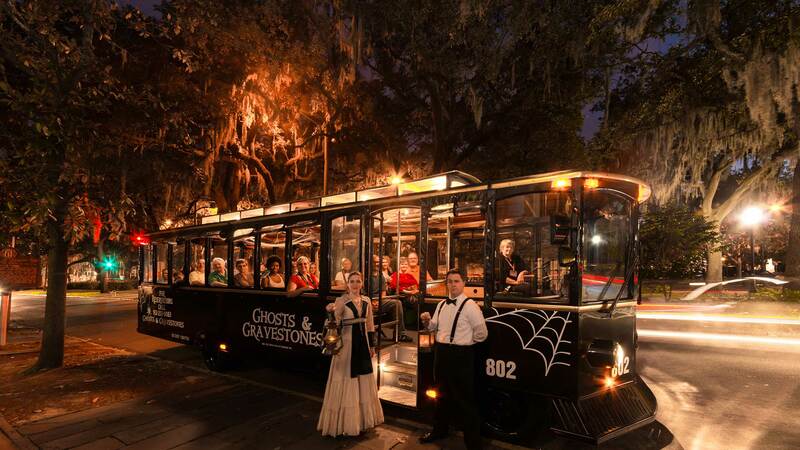 Travel past ancient cemeteries, (those still standing and those that have fallen victim to the passage of time and progress), antebellum mansions, and lush squares ripe with live oaks dripping with Spanish moss. Drive by the sites of some of the bloodiest battlegrounds in history, where you may hear echoes of battles and the spirits that remain. FIRST is a stop at the Andrew Low House. This lovely John Norris designed mansion combines elements of Grecian and Italian Villa styles and sports one of Savannah’s most stunning ironwork balconies. There have long been reports of spirits that inhabit the home, tales of staff seeing apparitions dressed in old-fashioned clothes and furniture moving with no one occupying it. All of that is combined with modern experiences of the docents in the house to culminate in quite a paranormal legacy. You will have the opportunity to walk the halls of this majestic home and experience it for yourself. Ghosts & Gravestones Story - Perkin’s and Sons Ship Chandlery! 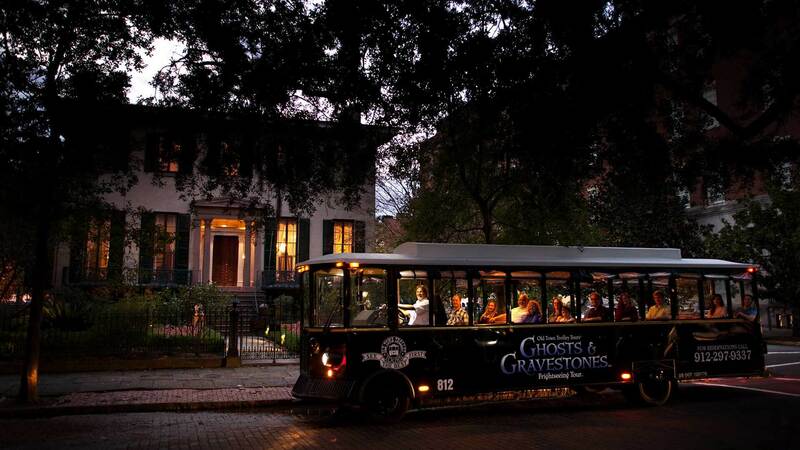 Located on River Street, which many believe is the paranormal epicenter of “America’s Most Haunted City”- Perkins and Son’s stands as a testament to the bustling port business that once took place right at its doorstep. Follow your Ghost Host as he steps inside this antiquated building. Immediately upon entering you will sense you have stepped into another time. 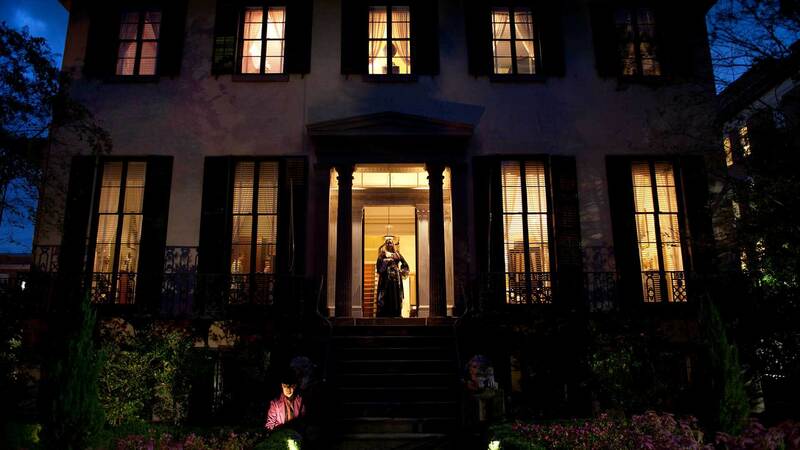 Once inside, you will truly EXPERIENCE the haunted history that has given rise to the immense paranormal presence in Savannah. 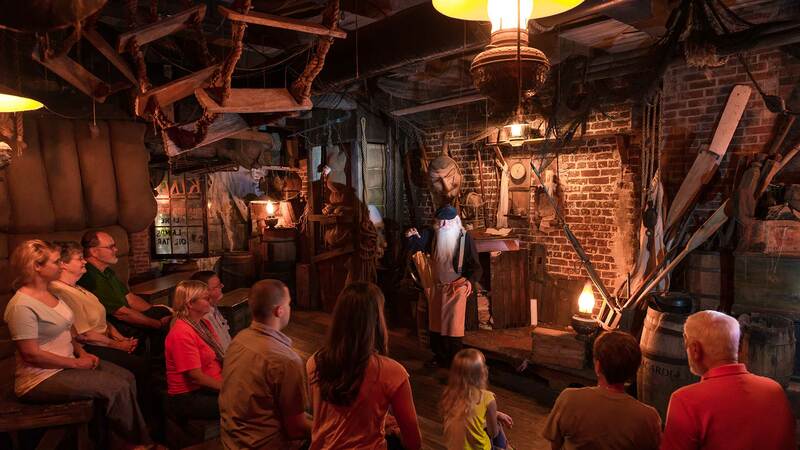 All of your senses will be engaged as you are immersed in the dark tales of River Street’s past. Entry into the Perkins and Son’s Chandlery and The Andrew Low House are both exclusive to Ghosts & Gravestones guests. Only YOU will have the opportunity to visit these special haunted places – IF YOU DARE!!!! Space is limited for this exclusive tour- so purchase your tickets NOW. Comfortable shoes are recommended so that you don’t become dead on your feet during the brief walking portions. Length of tour: 1 hour and 15 minutes. This tour is rated PG-13. No children under 6 allowed. An adult must accompany anyone under the age of 18.